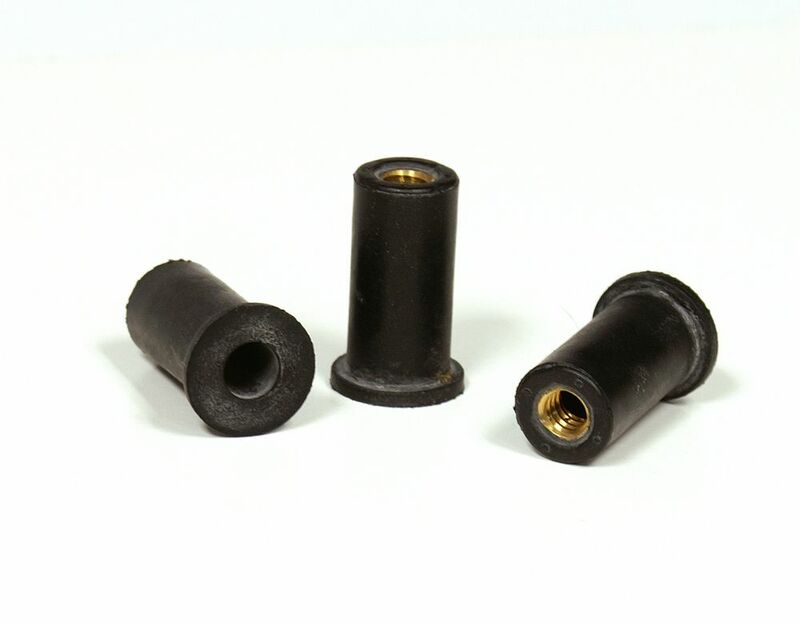 The RivetKing JF Series Rubber Nut is used as a removable rivetnut. Installation is performed with the bolt or screw itself. To remove the rivet nut, just remove the bolt or screw. Rubnuts can also be used as vibration isolators to prevent rattle and pullout. Typical applications are for the installation of mirrors or other hardware in utility trucks, compressors, and engines.